As a full-service web design, development, and IT firm, Reed Dynamic ensures that our team is always moving, marching forward to exceed our clients’ expectations. We take companies’ technologies and transformations to the next level, stay on top of trends that impact marketing and engagement, and commit 100% of our passion, experience, and talent to making our collaborations a hit. Thanks to all of the hard work and dedication from our team, Reed Dynamic has become one of the leading companies in Detroit. We’re well versed in many different types of essential digital skills, but we’re particularly proud to be listed on Clutch as one of the best managed service providers around, taking home the no. 2 spot in the field for a listing of Detroit’s top IT services companies (see Leaders Matrix below). The full list of leaders for Detroit was published by Clutch on 27 March. As a B2B research and reviews firm, Clutch ranks business service providers based on operational and performance criteria. This includes market presence, expertise, and client feedback. Knowing that we’ve performed so well, both individually and compared to competitors in our field, gives our team great pride in our accomplishments so far. Thank you to Clutch and our clients for recognizing the quality and integrity of our work. The Manifest and Visual Objects, two sister companies of Clutch, also independently assessed Reed Dynamic to come to similarly positive evaluations of our services and solutions. 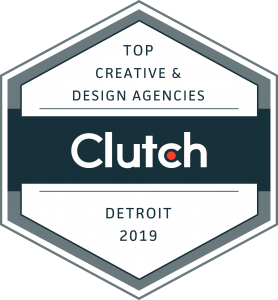 Business news website The Manifest, which publishes insight about different trends, industries, and technologies, called our team one of the best web designers in Detroit and touted the strength of our client satisfaction evaluations. Visual Objects, an online portfolio curation platform, also listed Reed Dynamic as one of the site’s top web designers and now showcases examples of our creative and digital expertise, placing design at the center of a successful marketing partnership. If you’re interested in learning more about how Reed Dynamic can work with you to better your business’ growth, impact, and success, we’d love to talk with you if you connect with us here. We look forward to improving our services through new and existing collaborations, and we’re excited to keep rising to new heights! Have you ever been working on a project and you need to turn on “Transaction Details API” or want to update something in your sandbox account? Well, then you are familiar with Secret Answer! Apparently, Authorize.Net sets a default Secret Answer. Here are other helpful links. This free exam is designed to check your knowledge of the SEMrush toolset for SEO specialists. After passing the examination, you will be awarded with an official certificate proving your expertise in SEMrush SEO tools. I have a study that I got off of AZA Adwords and wanted to share it with everyone. If you need to more help with SEO or SEMRush, please contact me(Click Here).